Enter Panorama® “Dual Reflective” window films. The soft, low reflectance surface on the room side of the film reduces the “back reflection” so typical of many sun control films by as much as 80%; leaving you with windows that are much more natural looking, and in many cases, much easier to see out of at night. When drawing drapes for privacy’s sake is not necessary; or if there are no drapes to cover the inside surface of the glass; dual-reflective films such as Panorama® “Slate” series, or “Autumn Bronze” are the perfect “designer film” solution. And because they are Panorama® products, they are backed by Panorama’s “Premier Plus™” Warranty – the most expansive warranty coverage in the film industry. 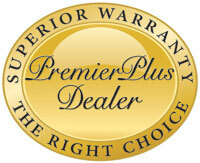 Solar-X of Sarasota is the area’s exclusive Panorama® and “Premier Plus™” dealer. Befiore you make any buying decision for your Bradenton, Sarasota, Lakewood Ranch, or Venice area home; you owe it to yourself to preview our complete line of Panorama® window film products. Call or contact Solar-X of Sarasota today for a no-obligation consultation.